S01 – The most popular of all our outside profiles. 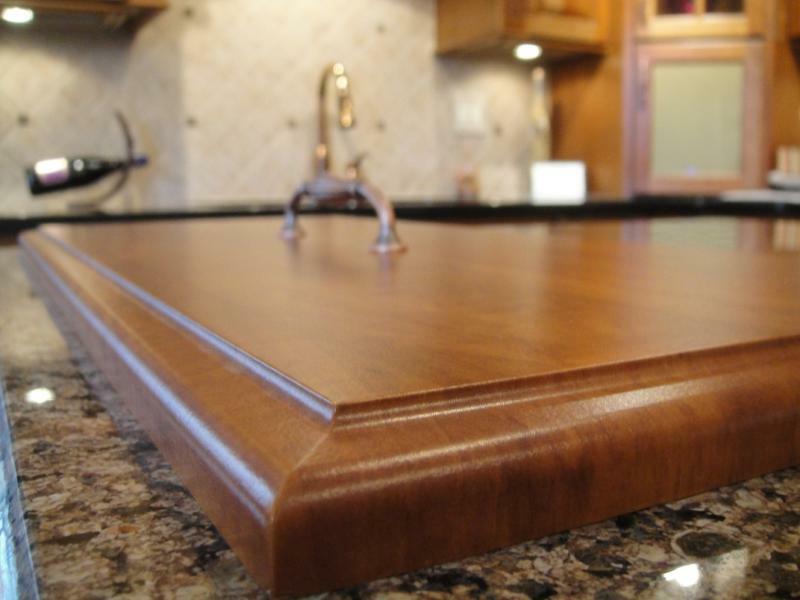 It is the standard ogee edge. S02 – This profile has a 1” bevel. It is mostly used in contemporary applications. S03 – This profile has a bevel similar to the S02; however, this is a smaller 30° bevel. S04 – A radius outside, this profile features a 1/8” round over. S05 – Again, another radius outside profile. This one has a ¼” round over. S06 – The largest radius outside available, a ½” round over. S07 – This 3 step outside profile is created using special tooling. This is more of a classic look. S08 – The closest to a 90° edge (straight edge) as possible! S09 – An ogee outside with a 3° back bevel. Use this outside edge when you don’t want to use handles. S11 – A blend of the S02 and the S05 outside profiles. Some customers call this the “pillow” edge. For a more modern look, our radius outsides (S04, S05, and S06) can be applied to the top/bottom or the left/right of our thermofoil components. You would call that out on your order form by noting the B130 (top/bottom) or B131 (left/right). Should you need an outside profile on only 1 long edge, you can denote that on your order form as well by calling out the B105. Sometimes these pieces are used as base molding. We can also make “scoops.” Please submit a drawing with your order as these are more customized to fit your needs! Make your thermofoil components outstanding with one of our outside profiles today!